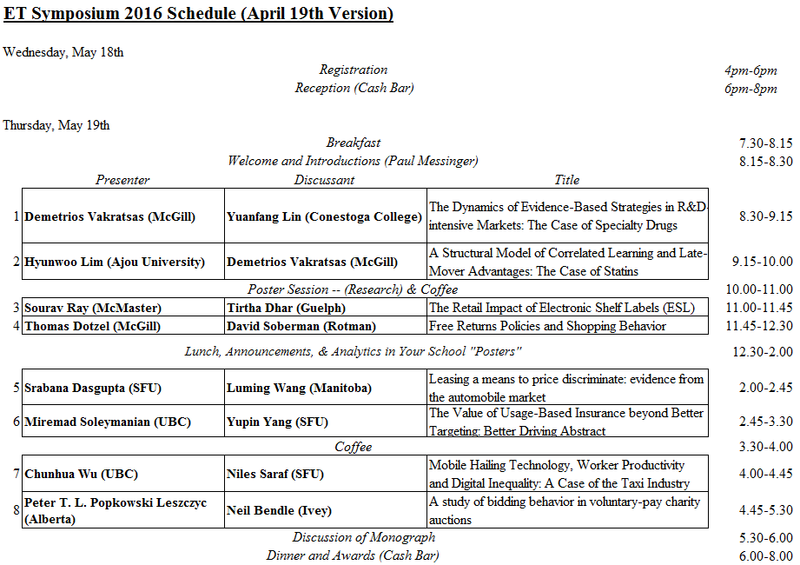 The Empirical and Theoretical Symposium was held at the Fairmont Chateau Lake Louise, Alberta, May 18/19 2016. Bring together academics and PhD students based in Canada to discuss their research. Identify and promote future directions in industrial marketing strategy research in Canada by helping academics understand topics of importance to practitioners. Showcase empirical research on marketing topics. Encourage the development of high quality marketing theory. Help provide a bridge to practitioners by disseminating ideas from top academic research. Encourage creating knowledge networks through collaborative research in the domain.